Trick or Treat Studios has just unveiled the first photos of their new officially licensed Michael Myers mask from the upcoming Halloween movie. This mask comes directly from the screen-used movie master and is an exact replica of the mask worn by Michael Myers in Halloween 2018. 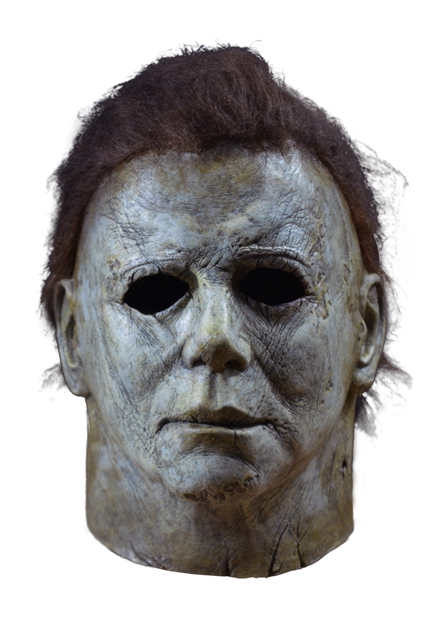 The new Michal Myers mask is designed by Oscar and Emmy-winning makeup effects artist Christopher Nelson (read our interview here) and Vincent Van Dyke, with Trick or Treat Studios’ own Justin Mabry. We are proud to be an authorized seller of Trick or Treat Studios products, and the first mask from the company that we have available for sale in our online store will be is the Halloween 2018 Michael Myers mask, which you can order here. You can see photos of the latest Michael Myers mask from Trick or Studios below.